The latest product line from Carclo Optics is the Silicone S1 range. Suitable for chip on board LEDs up to 23mm LES. The new High Bay Strip Optic is perfect for retail and warehousing. Capable of low to medium degree beam angles, the innovative design allows for a variety of LEDs to sit in the housing whilst the clip form exterior sits flush on the mounting. Our Mini Hubble range offers array configurations of the hugely popular freeform optic. For more information click here. Available in PMMA & PC, the 33Up arrays are suitable for a variety of uses in different applications and the 7 cavities make it compatible with the latest Gen4 Philips Fortimo boards. Part of the Carclo Optics 10mm optics range, the 1 x 6 array reduces manufacturing complexity and cost. More information about our Mini Hubble range is available here. Perfect for Retail and General Lighting, the 33Up Array optics range create the illusion of a continuous optic and fit the industry's standard PCBs. We have redesigned our popular 33Up Array optics to include additional cavities making them compatible with the new Philips Fortimo Gen4 Boards. The optics are backwards compatible and the efficiency and footprint are both unaffected. We have design, development and stock holding capabilities in the UK, Czech, USA, China and India. 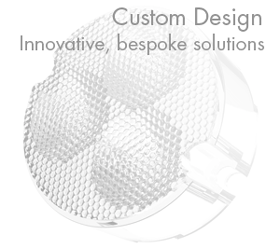 Custom design projects are an important area of the business and we have completed a number of bespoke solutions for large multi-national luminaire manufacturers. Our worldwide distributor network hold stock of standard optics, reflectors and suitable holders for immediate purchase. We offer a fast delivery service directly to our distributors for any parts they require and do not stock. 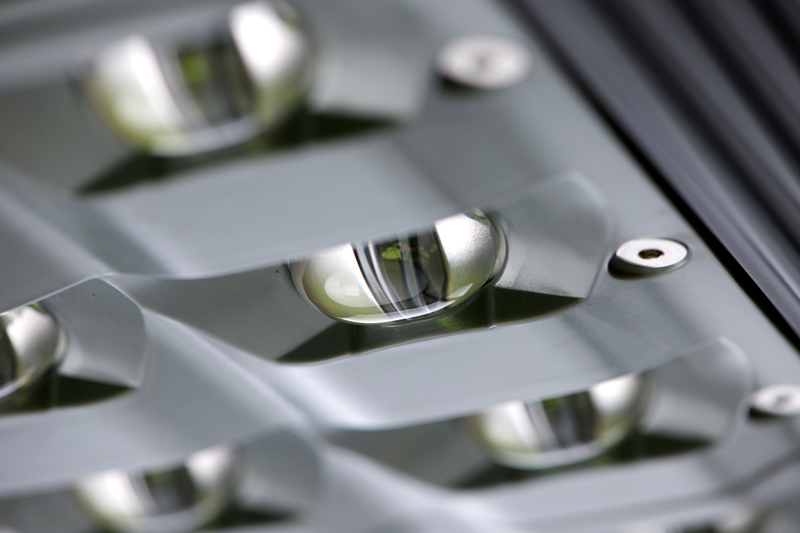 Our optics and reflectors are suitable for a wide variety of applications. For more specific projects and applications, Custom Designs are available.